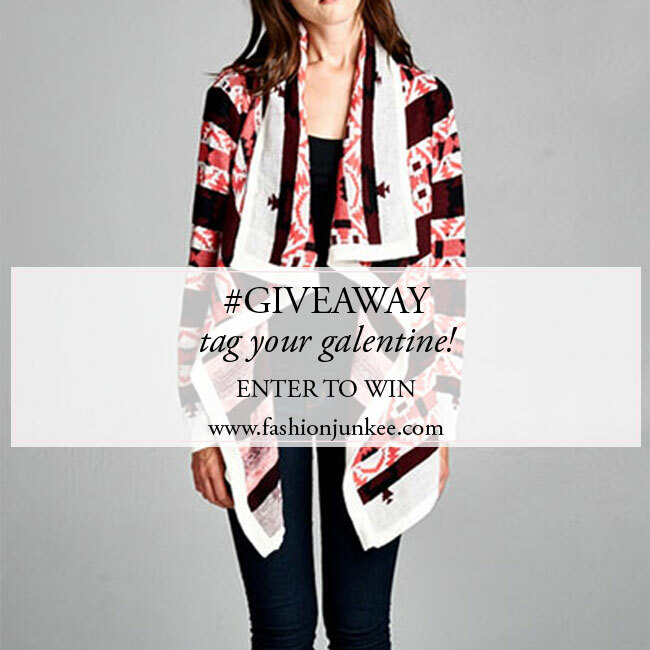 Enter to win a free Pink Tribal Cardigan from FashionJunkee.com. It's easy! We would like to bring a little bit of sunshine to someone else’s day – cause who doesn’t like an unexpected package in the mail! Enter for a chance to win any free item for you and a bestie! 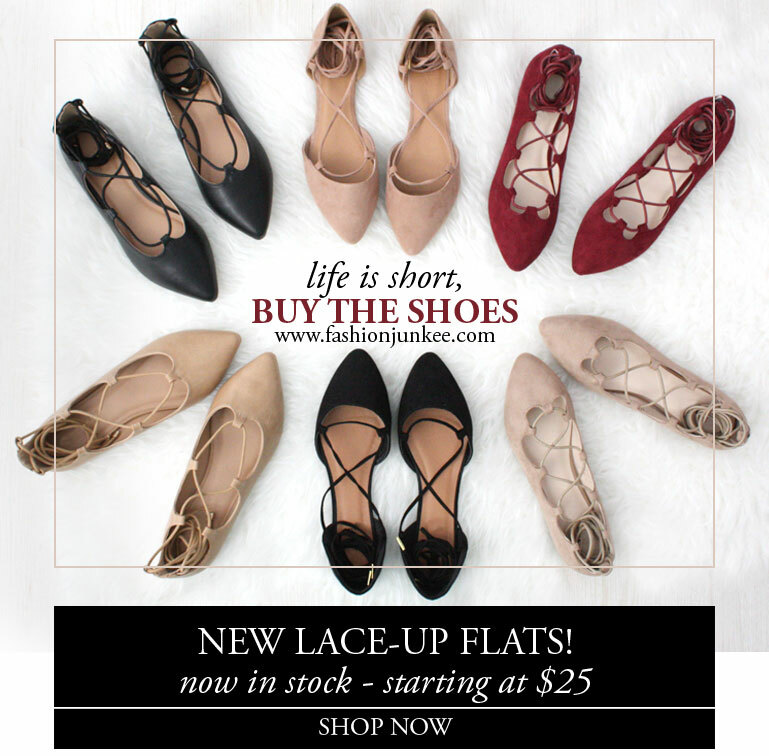 New Year, New Lace Up Flats - and oh, are they cute! Oh Deer, Christmas is almost here! Order your holiday tunics now to get them in time for Christmas + Get 10% Off Entire Order! Surprise! Early Thanksgiving Sale starts now! The more you shop the more you save...plus 5% of all orders made on 11/25/15 & 11/26/15 (Thanksgiving Day!) will be donated to the No Kid Hungry charity foundation. Thanksgiving is a time of giving thanks for what you have. But it's also a time to give to others who are in need. 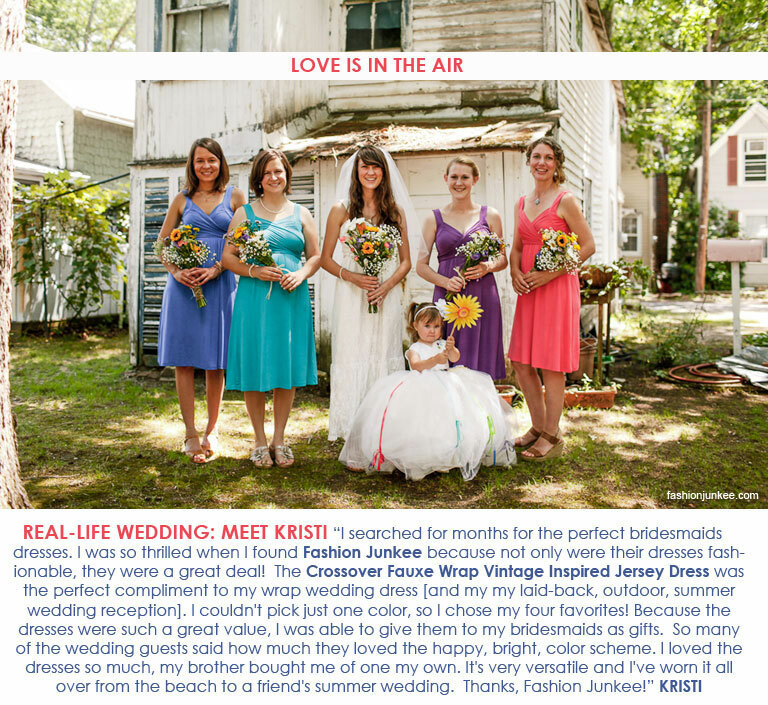 Fashion Junkee is donating 5% of all order made on 11/25/15 & 11/26/15 (Thanksgiving Day!) to the "No Kid Hungry" charity foundation. Please join us in making a difference in these kids lives. Thank you to everyone who visited the new FASHIONJUNKEE.COM. Just wanted to give you a heads up that the special coupon is ending soon! We are celebrating the new design with 25% off the entire site!!! (Out best discount ever). It's all in the details! We are loving all the details in this cozy tunic sweater. Enter for a chance to win a $25 gift certificate! Enter for a chance to win a $50 gift certificate! At FASHION JUNKEE we LOVE Valentine's Day! It's an excuse to go shopping, pick out our favorite outfits, and get dolled up! Our "Perfect Valentine's Day Outfit" board showcases our inspiration for this wonderful day. With everything from red dresses to pink nails to heart shaped cookies! Create a board titled "Perfect Valentine's Day Outfit from FashionJunkee.com" on Pinterest and pin your inspirations. You may be the winner of a $50 Fashion Junkee Gift Certificate to get the look you're after! Read on to see contest rules. 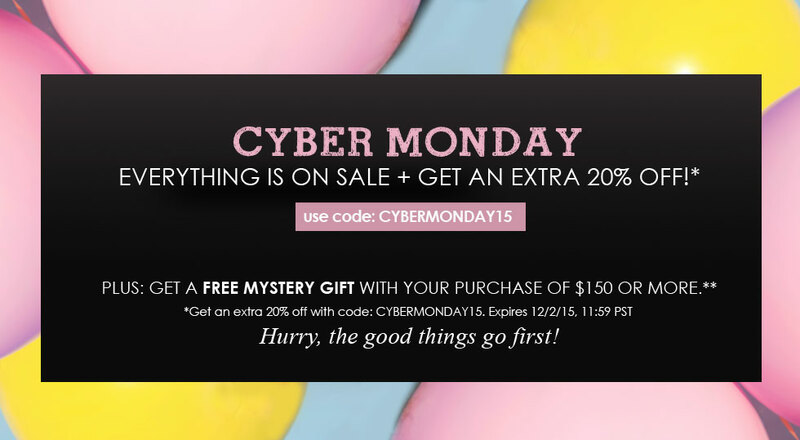 Huge CYBER MONDAY SALE! Everything is on Sale + Get an Extra 20% off with coupon code: "CYBER2014". All order over $150 will get a free mystery gift! Columbus Day Sale! Get 10% off Site-Wide! We are loving the hot FRINGE trend this season. The possibilities are endless: fringe cardigans, fringe kimonos, fringe scarves, fringe handbags, fringe tops, and fringe sweaters. We would love to know which fringe items are you favorite! Enter our Fashion Junkee "Fringe" Pinterest Contest for a chance to Win a $100 gift certificate! Read on to see contest rules. Get a sneak peak of our best selling fall transition pieces. Get 15% off all pre-order items with coupon code: "PREORDER15". Order early to get the discount. Labor Day Sale! Shop our sale + get an additional 10% off entire site with coupon code: "LABOR". Brighten up any outfit with fun floral prints. Get a put together bohemian look in seconds! Wedding season is upon us! This easy breezy dress is perfect for any occasion. Available in 15 colors. Only $36. This versatile dress can be worn in so many different ways! We're showing nine different ways below. But be creative! You may find other variations of wearing this dress. PIN IT TO WIN IT: Enter Fashion Junkee's 2014 Pinterest Contest to Win $100! At FASHION JUNKEE we LOVE Valentine's Day! It's an excuse to go shopping, pick out our favorite outfits, and get dolled up! Our "Perfect Valentine's Day Outfit" board showcases our inspiration for this wonderful day. With everything from red dresses to pink nails to heart shaped cookies! Create a board titled "Mad Crush: FASHIONJUNKEE.COM Valentine's Day Outfit" on Pinterest and pin your inspirations. You may be the winner of a $100 Fashion Junkee Gift Card to get the look you're after! Read on to see contest rules. 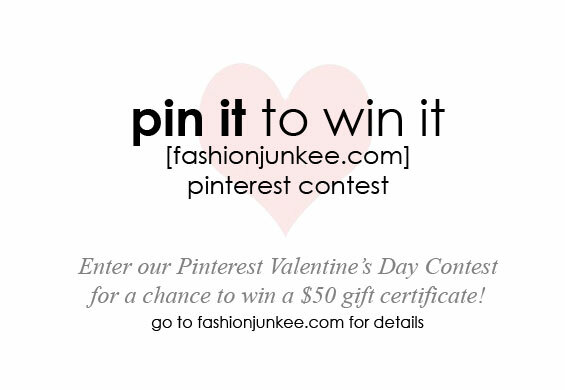 PIN IT TO WIN IT: Enter Fashion Junkee's Pinterest Contest to Win $100! At FASHION JUNKEE we LOVE Valentine's Day! It's an excuse to go shopping, pick out our favorite outfits, and get dolled up! Our "Perfect Valentine's Day Outfit" board showcases our inspiration for this wonderful day. With everything from red dresses to pink nails to heart shaped cookies! 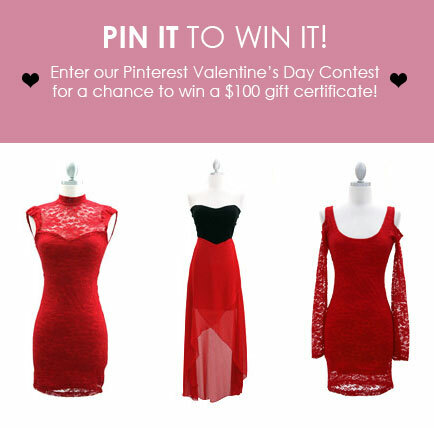 Create a board titled "Perfect Valentine's Day Outfit from FashionJunkee.com" on Pinterest and pin your inspirations. You may be the winner of a $100 Fashion Junkee Gift Card to get the look you're after! Read on to see contest rules.